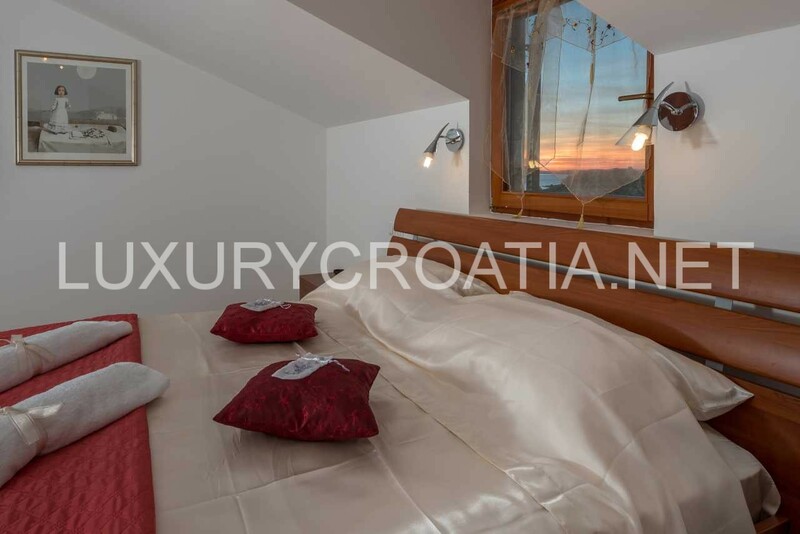 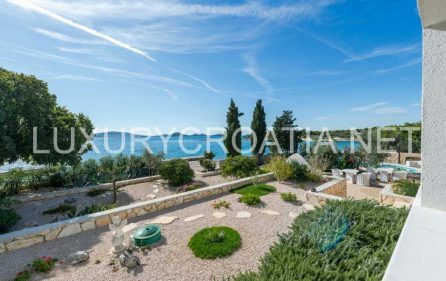 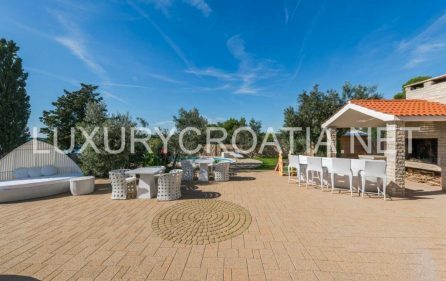 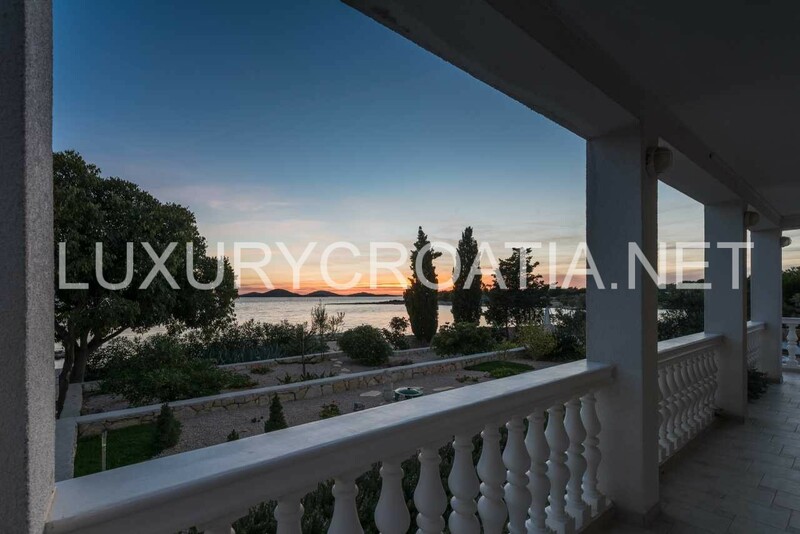 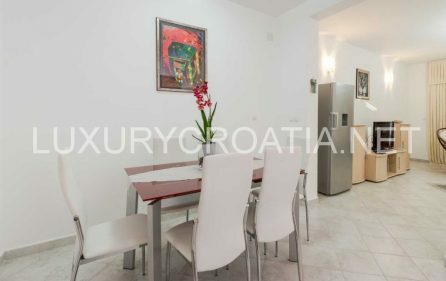 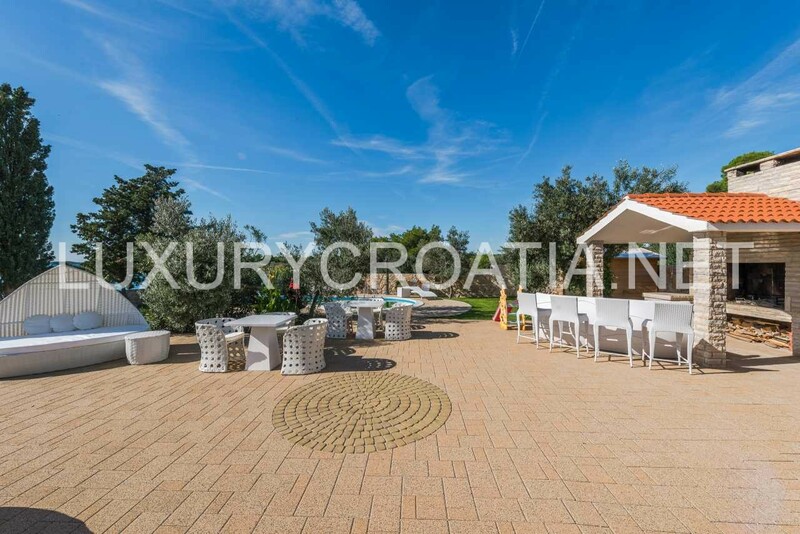 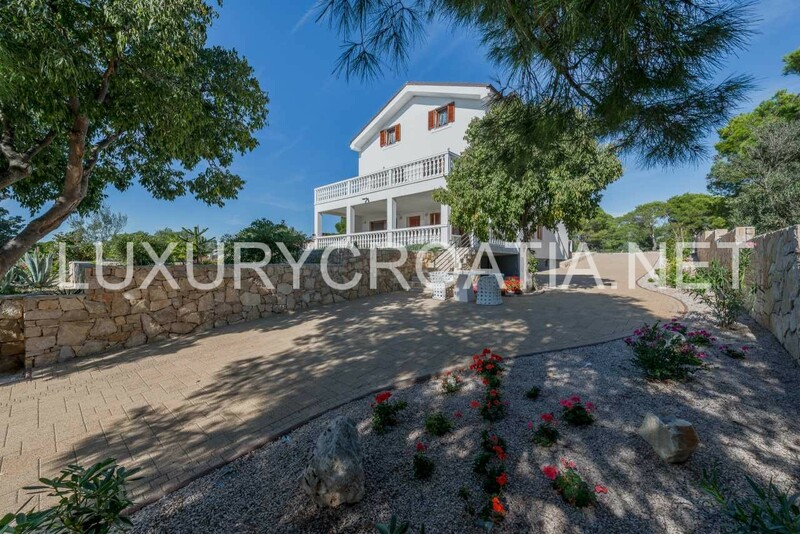 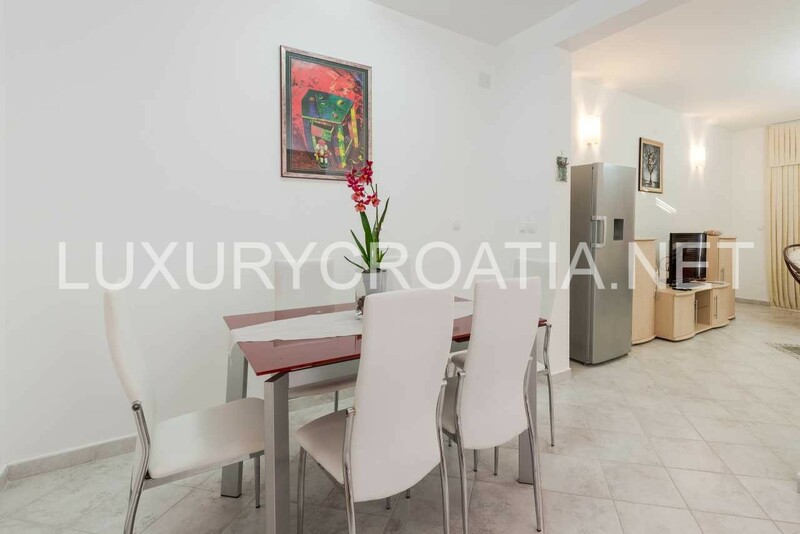 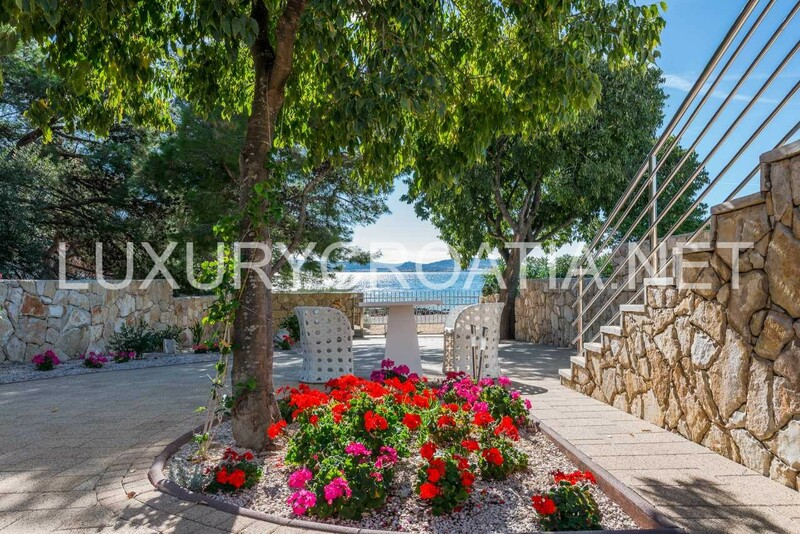 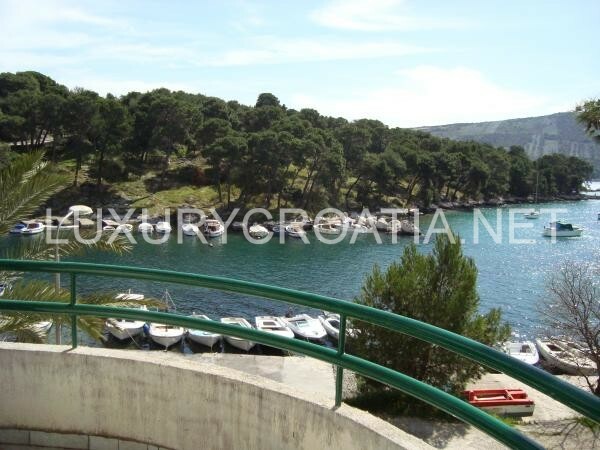 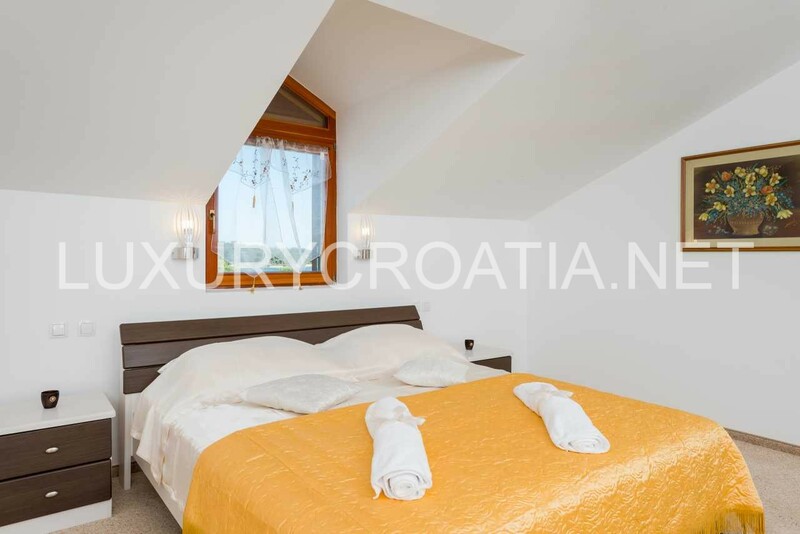 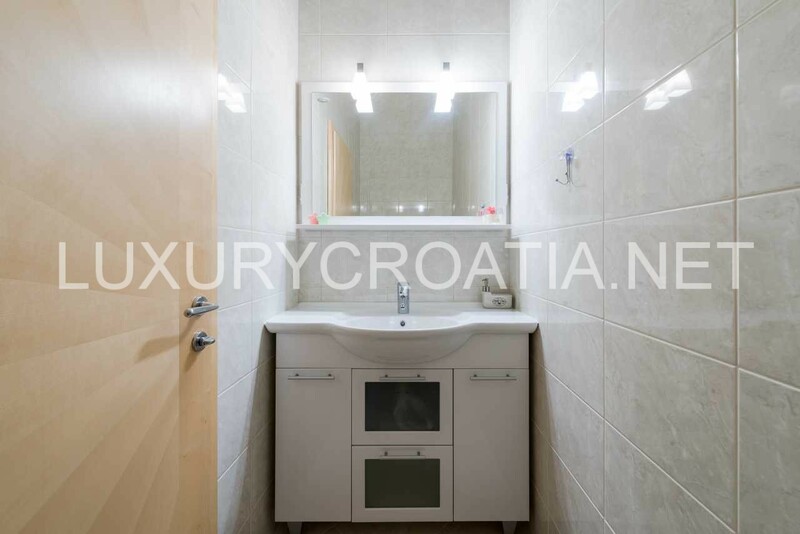 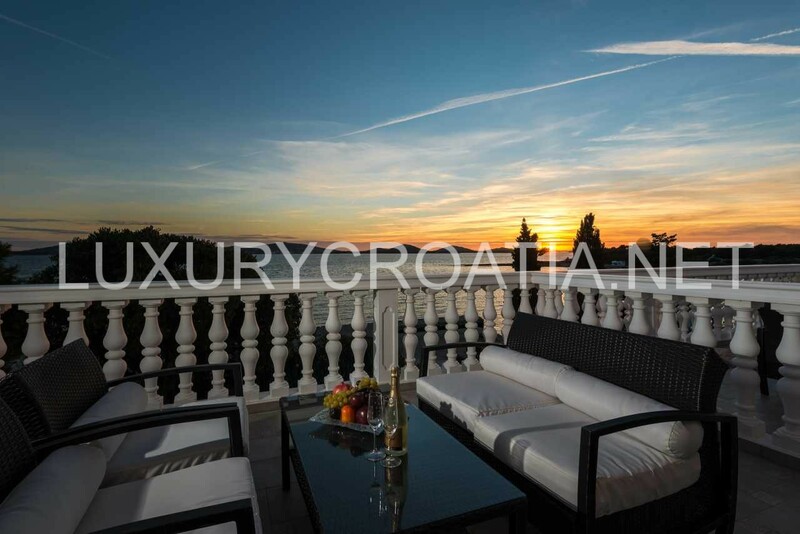 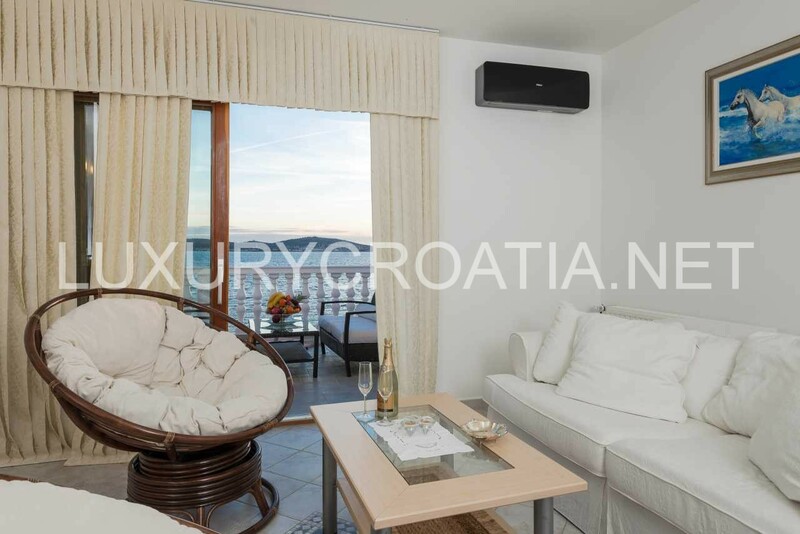 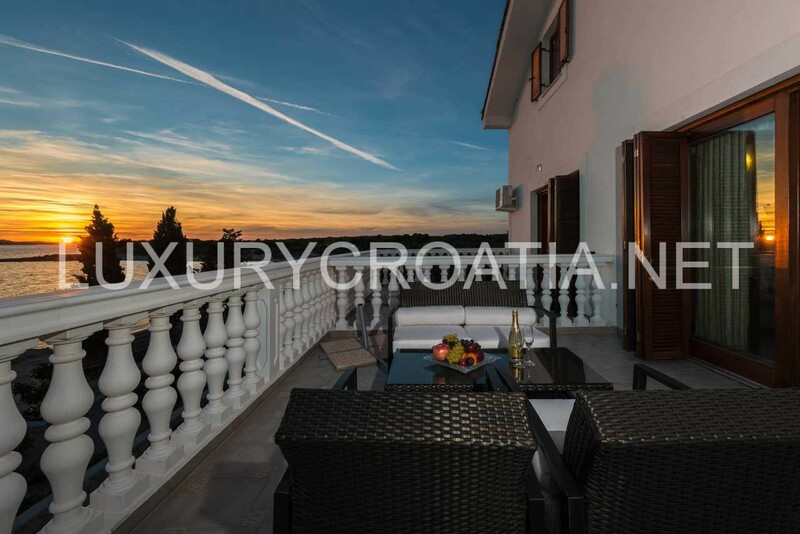 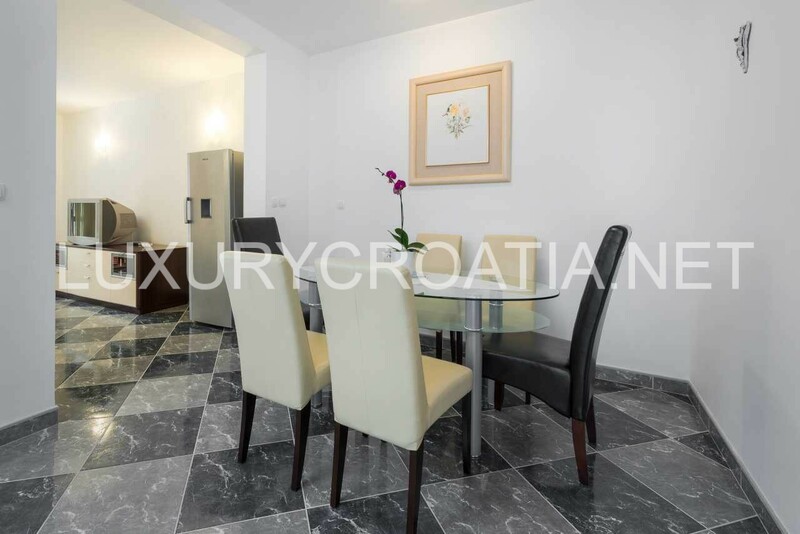 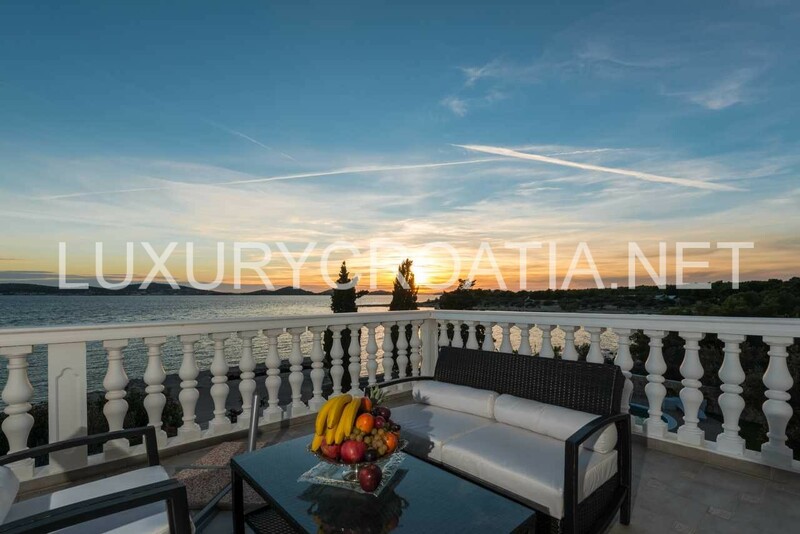 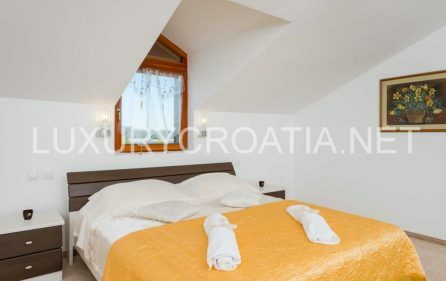 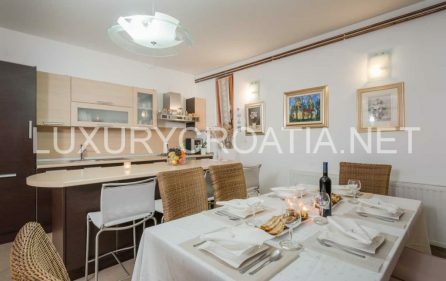 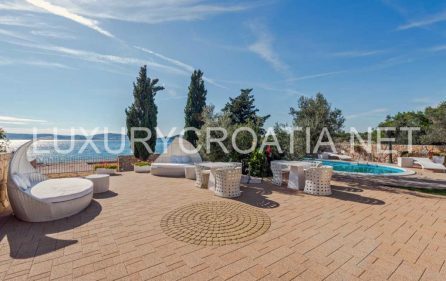 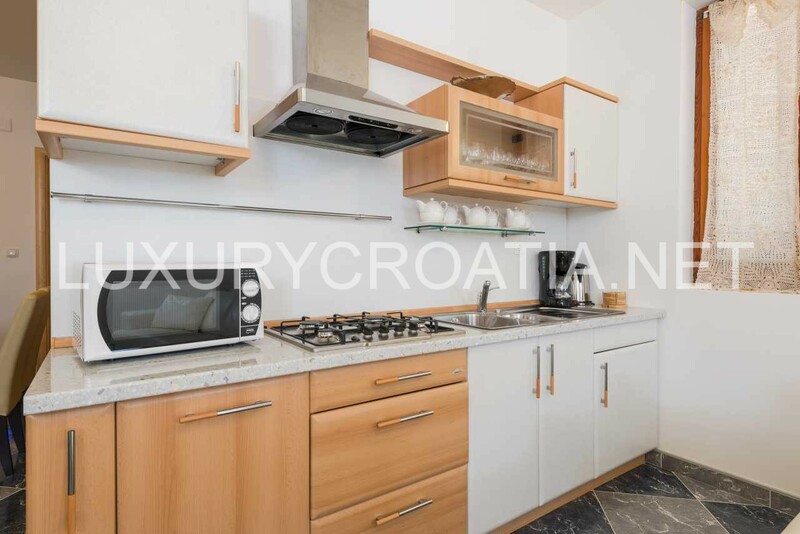 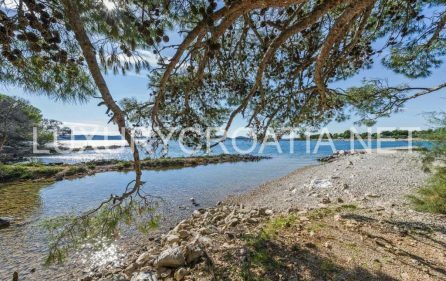 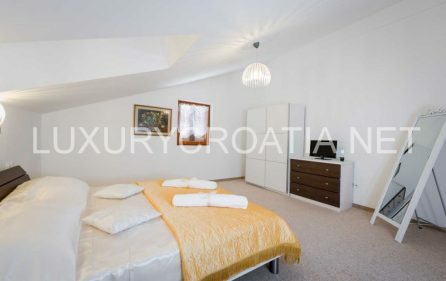 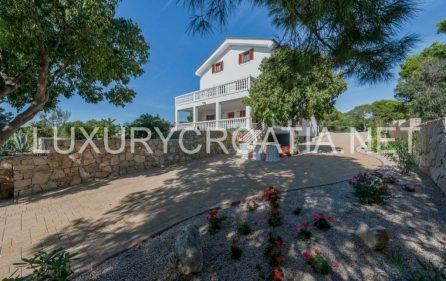 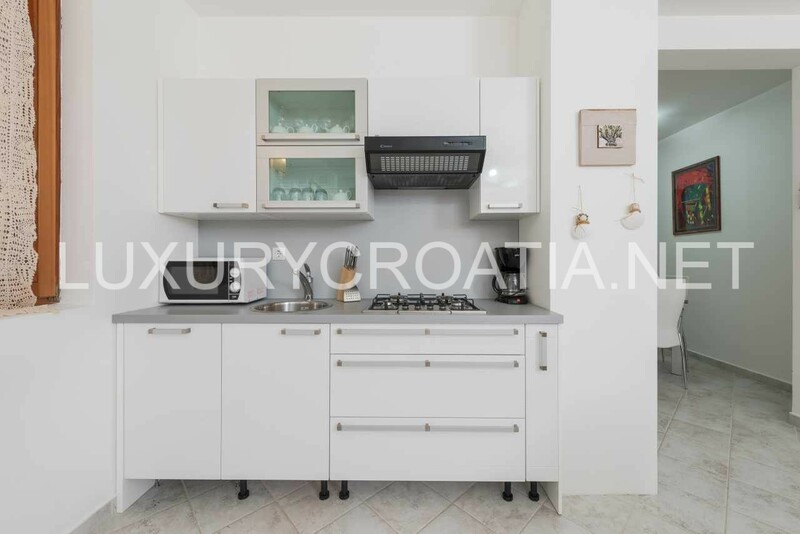 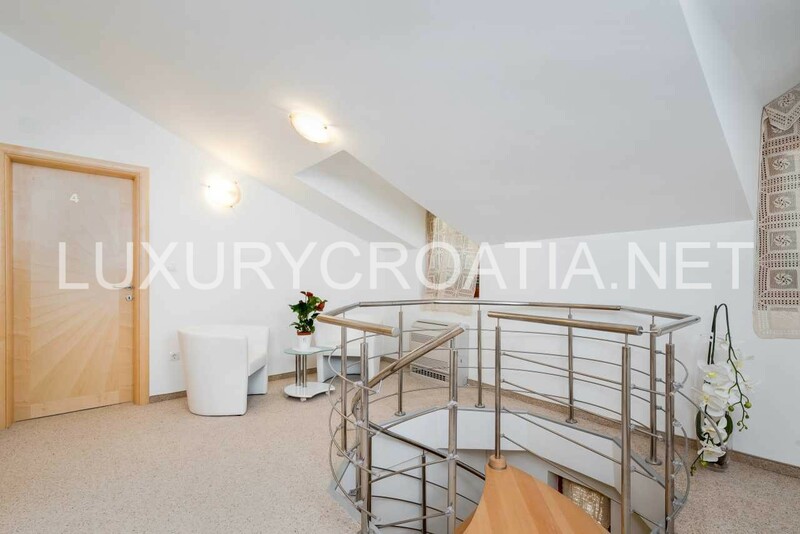 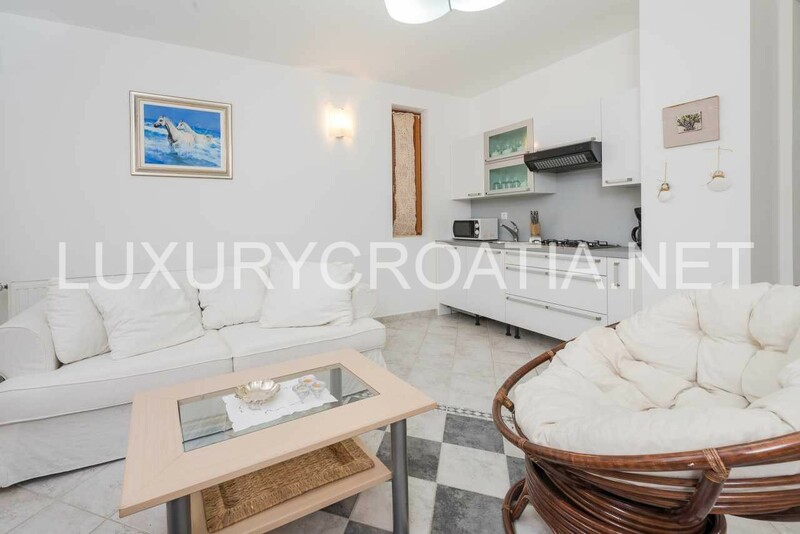 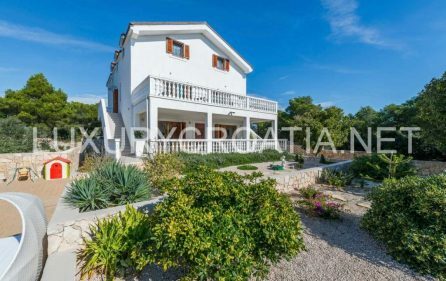 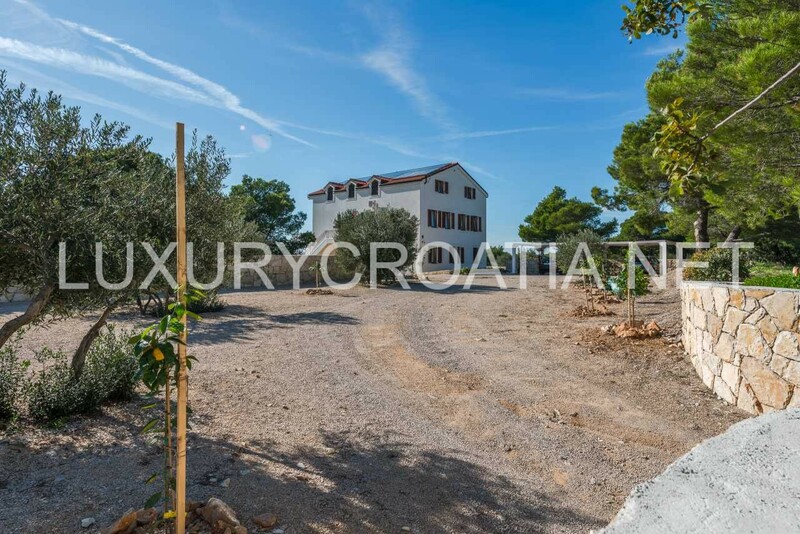 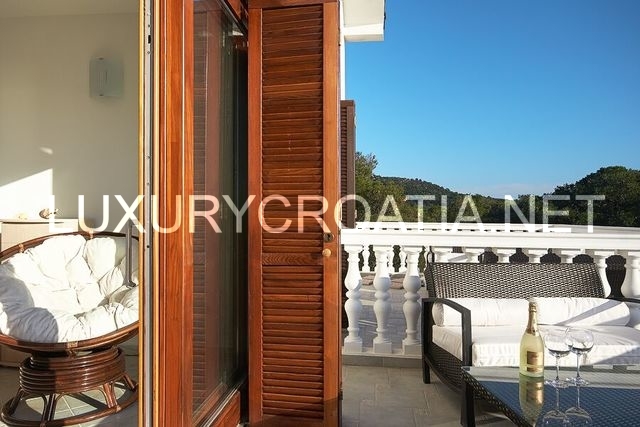 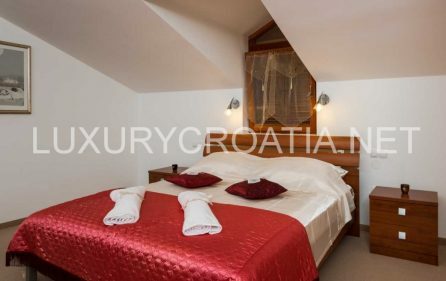 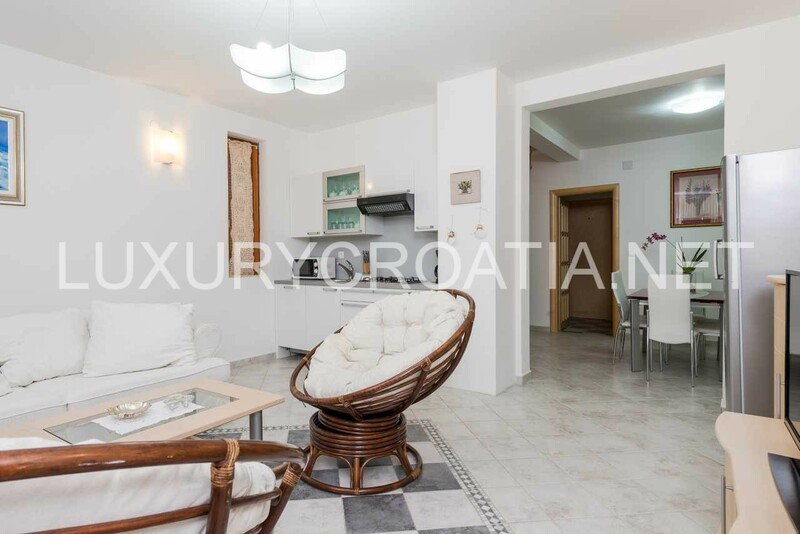 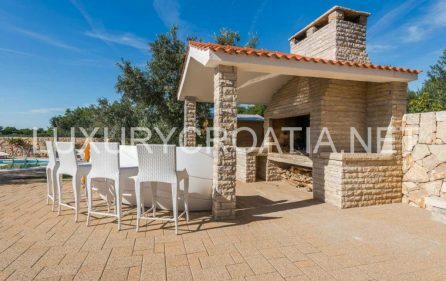 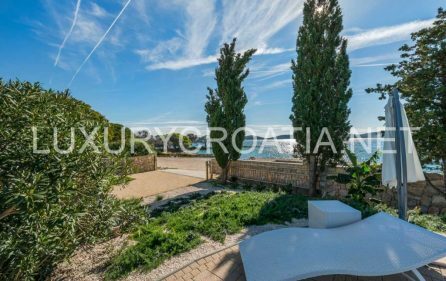 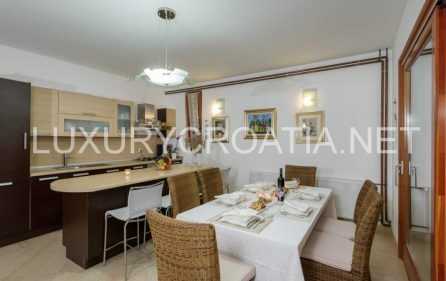 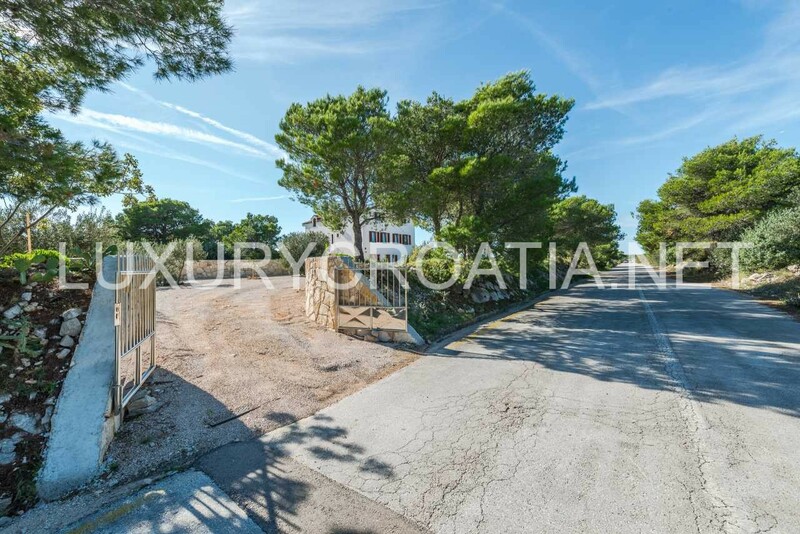 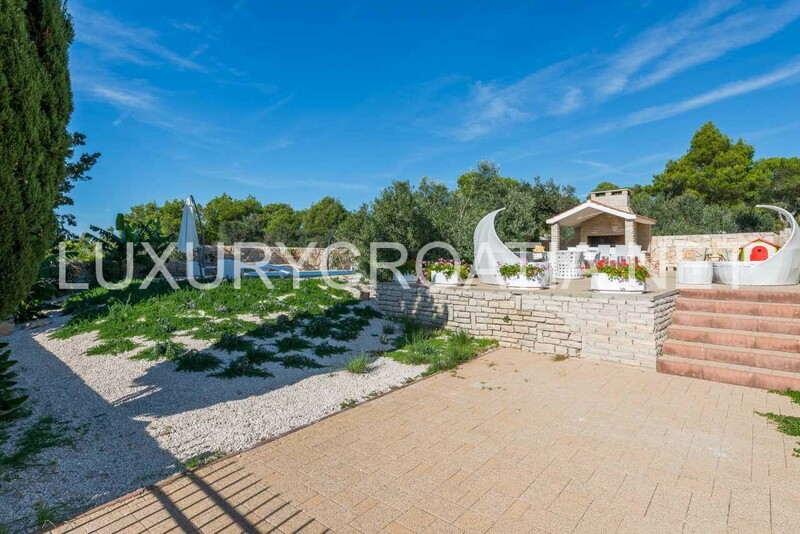 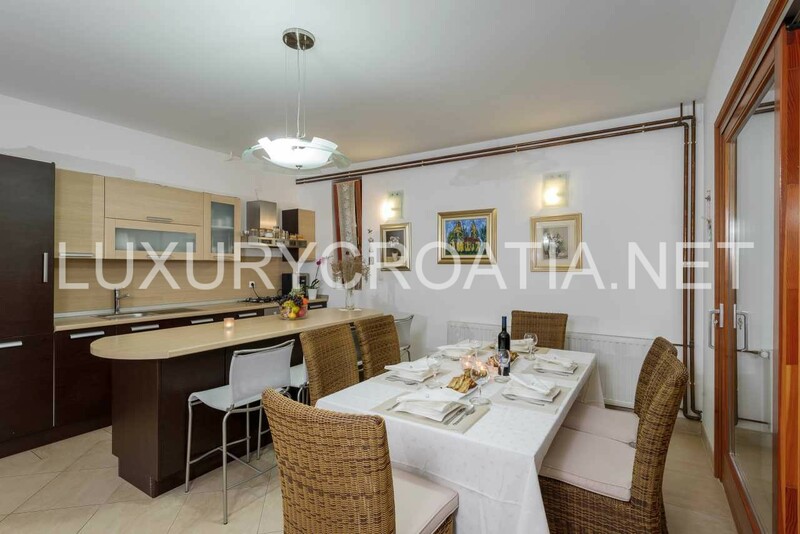 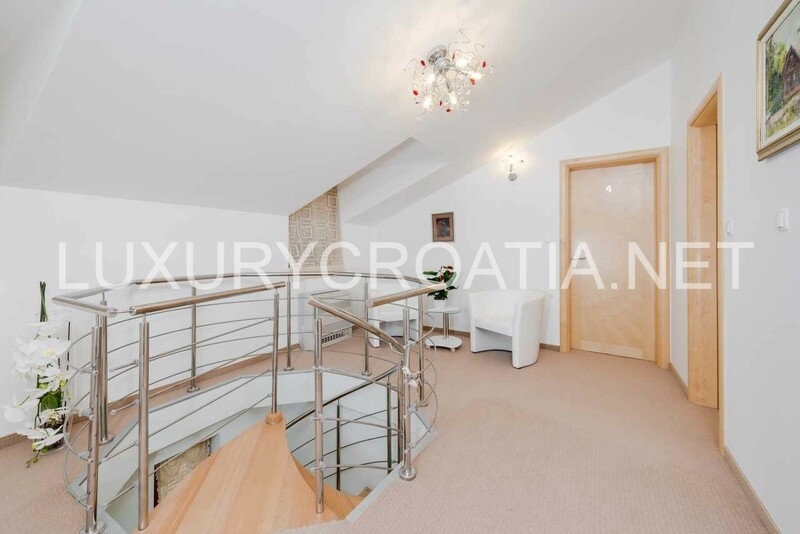 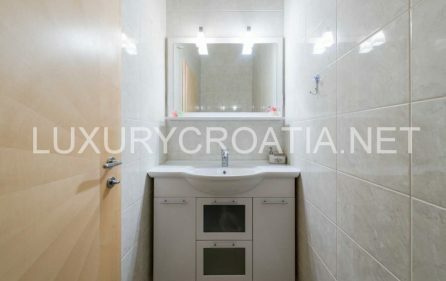 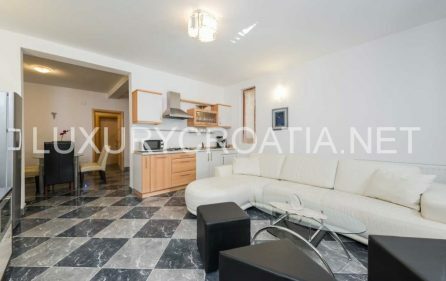 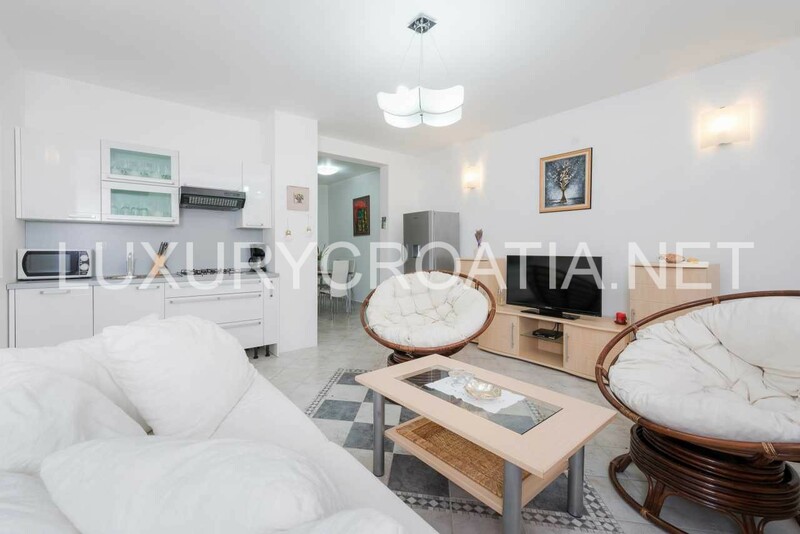 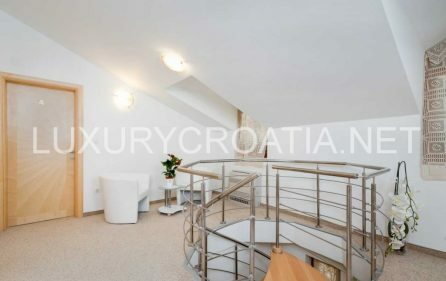 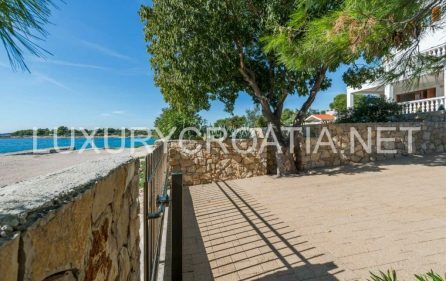 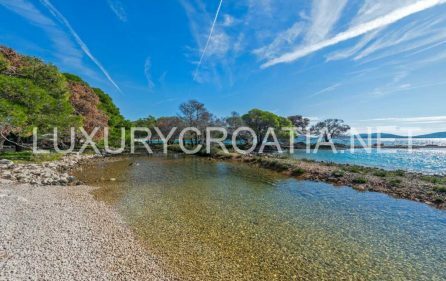 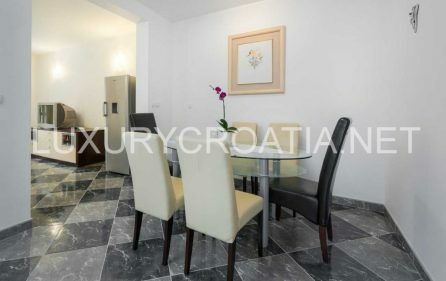 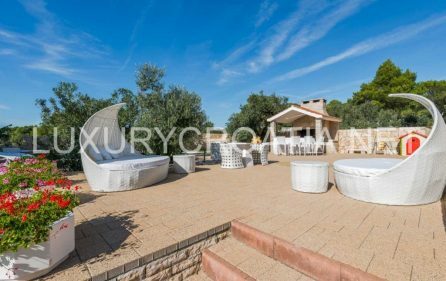 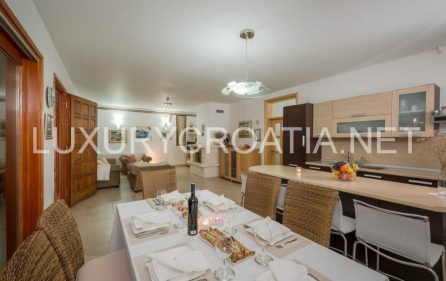 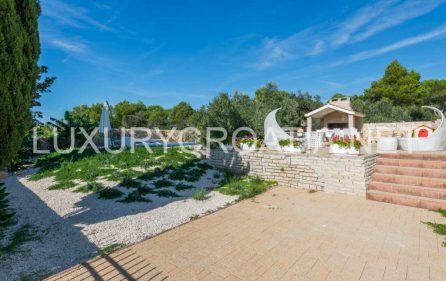 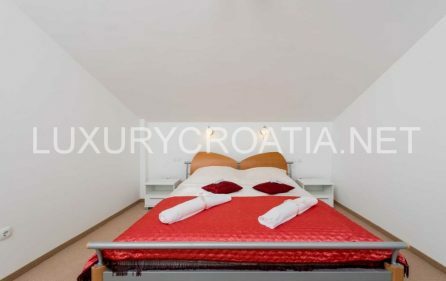 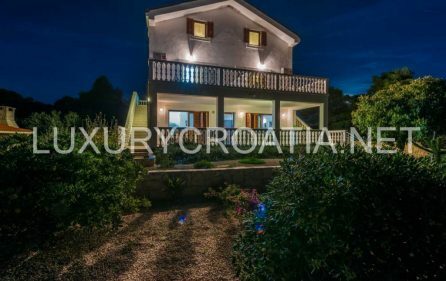 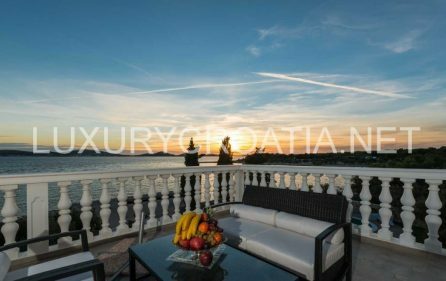 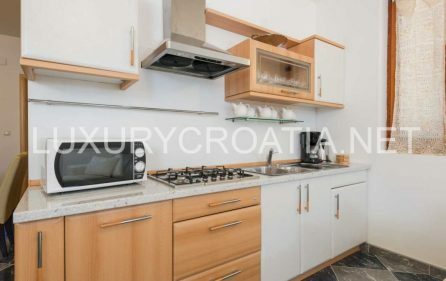 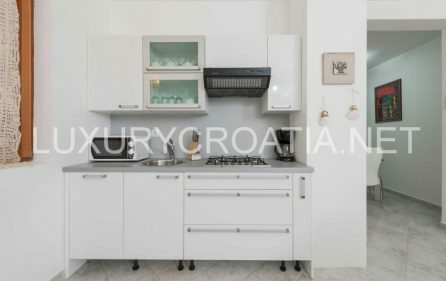 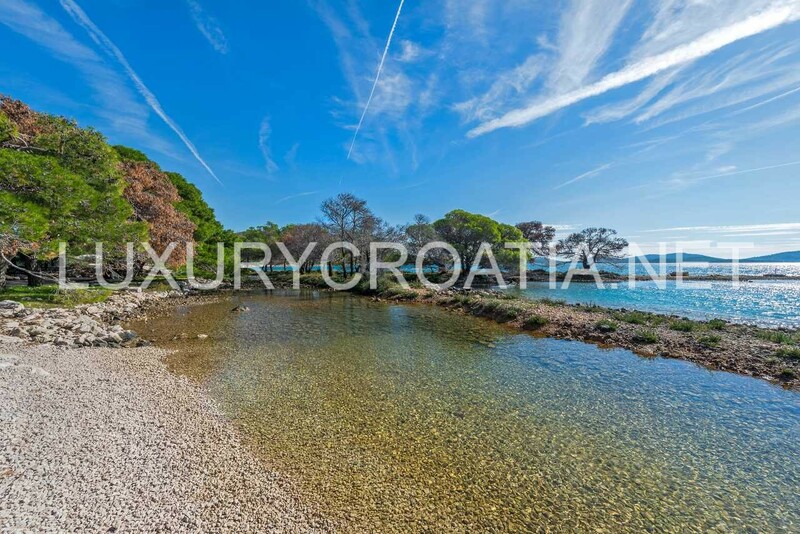 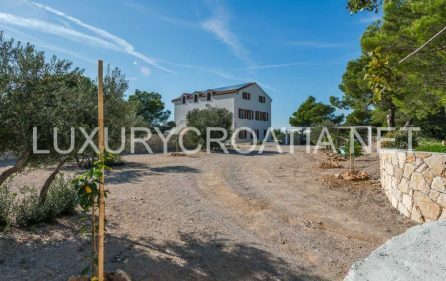 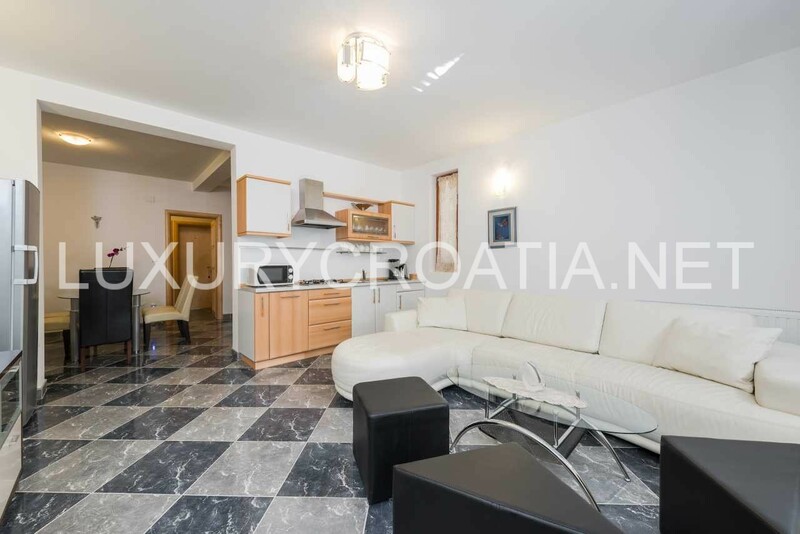 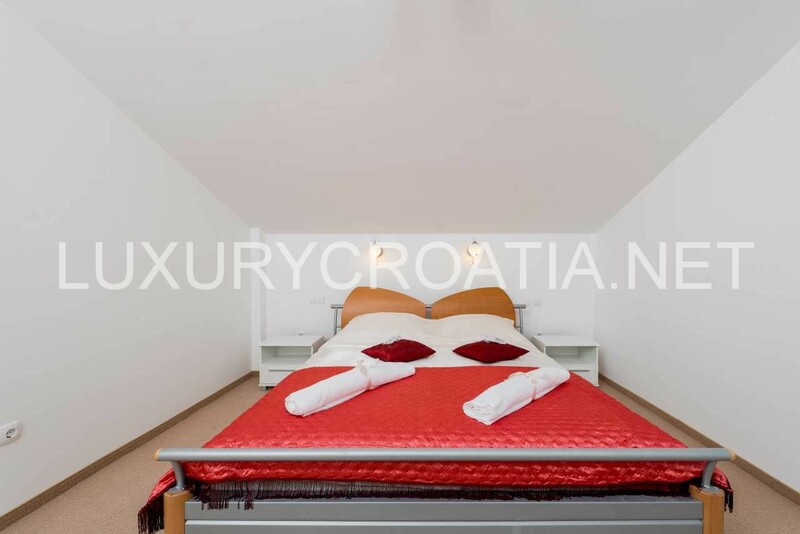 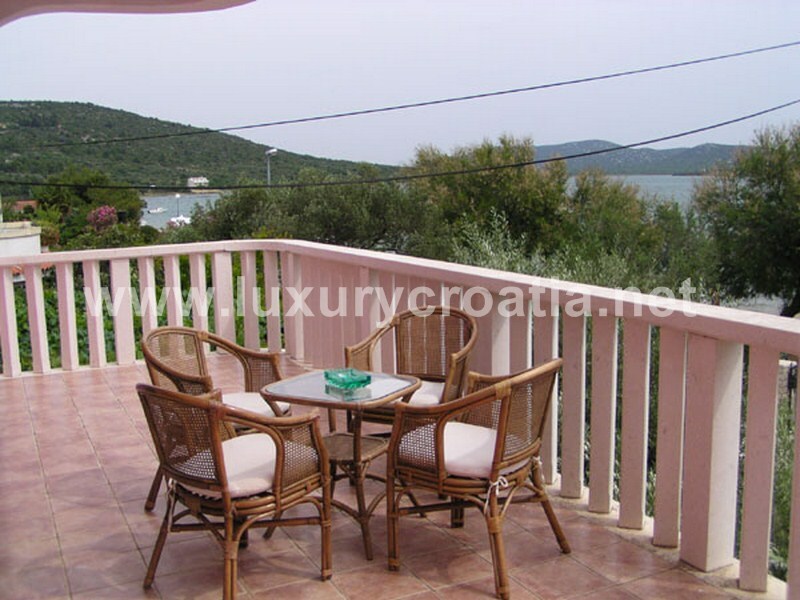 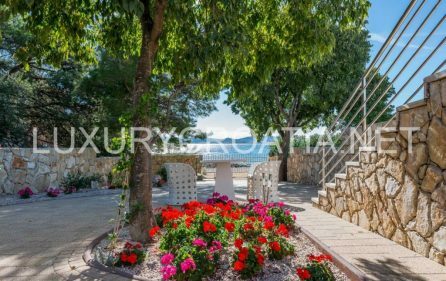 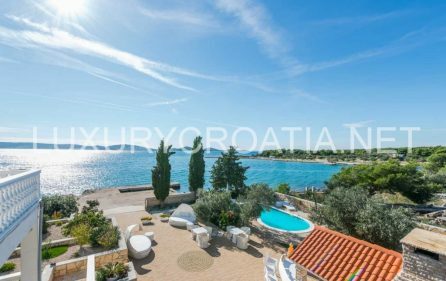 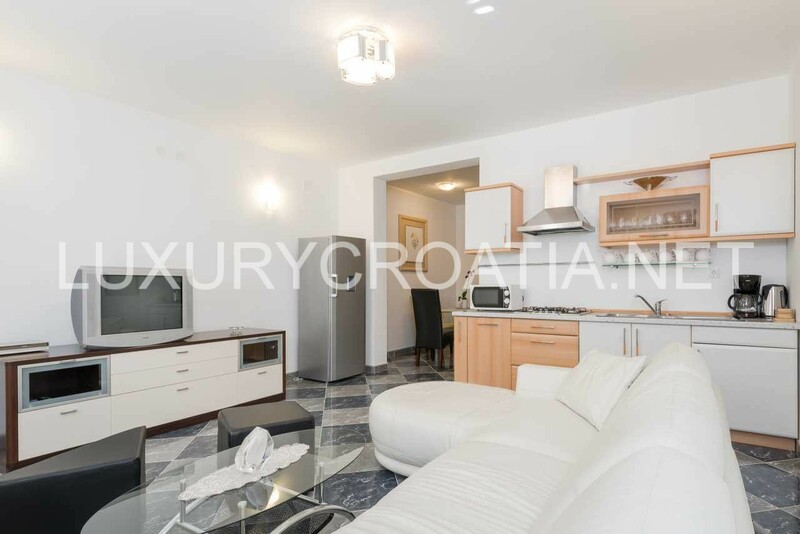 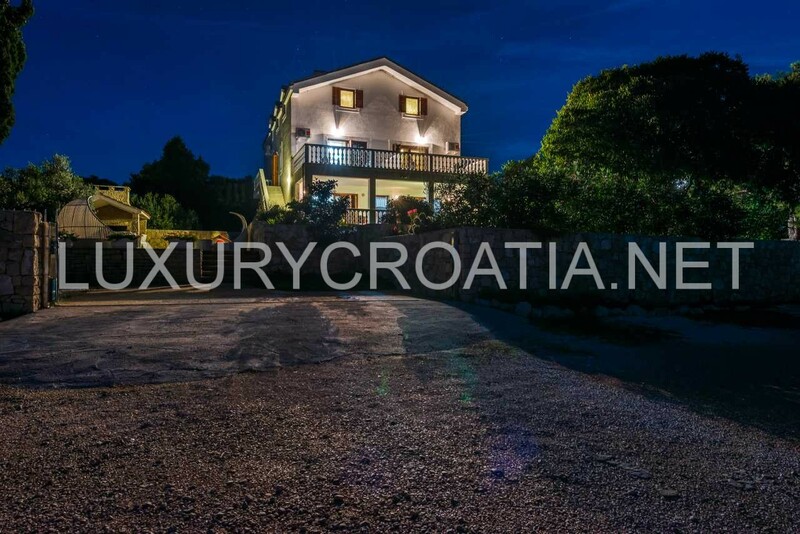 Luxurious Seafront Villa for Rent in Pirovac, Sibenik Area – This luxurious seafront villa is situated in Pirovac, Sibenik – Knin county, between Zadar and Sibenik – directly on the gravel beach, ideal for swimming, with easy entry through low water level to full swimming depth. 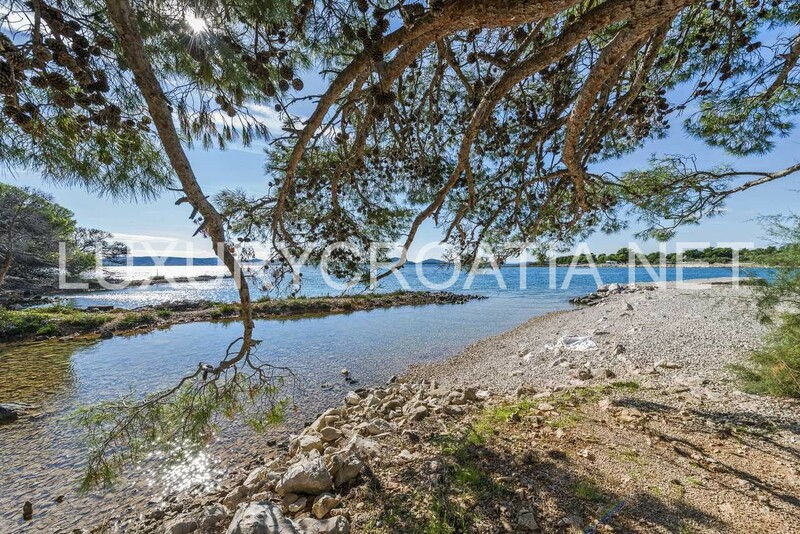 With a small shallow bay, it is ideal for children to swim and play. 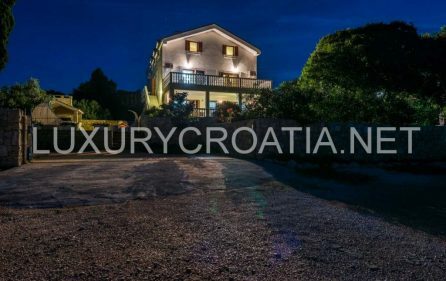 The house is surrounded with untouched nature apart from it’s own large garden and sun deck, shaded private parking for 8 cars and parking space for 20 more, located on the quiet street, away from the main road with no neighbors surrounding it. 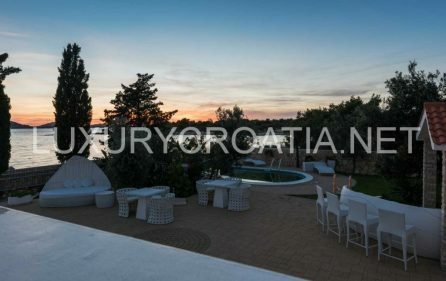 This location gives real meaning to the words private holiday for a larger group of people or families. 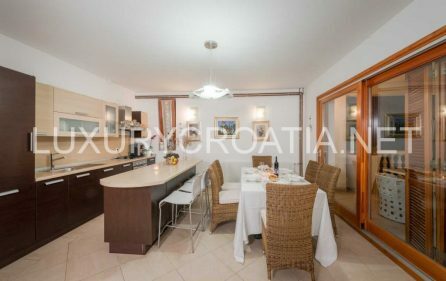 The house itself is divided in several parts. 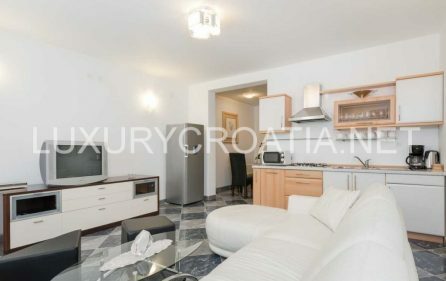 Ground floor has a big lobby area with a tv room and a fireplace, to relax and/ or for guests that arrive to feel the home atmosphere right from the first step. 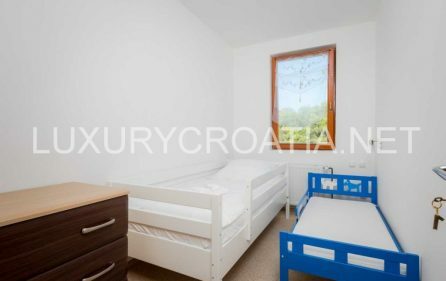 The ground floor also provides a sleeping space for supporting staff such as maid, housekeeper, cook etc. First floor has a kitchen/dining room space providing the guests with everything a home needs. 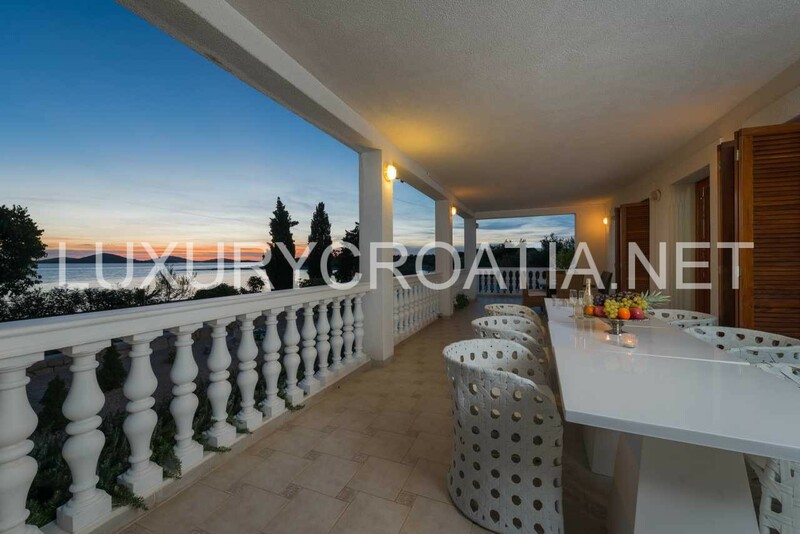 It has two duplex apartments every with it’s own outside staircase entry. 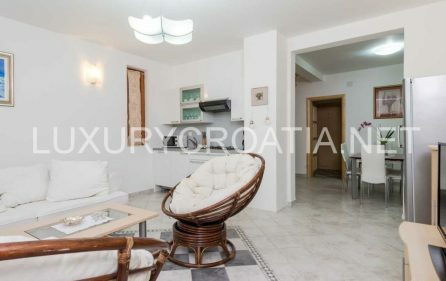 Each apartment is approximately 150 square meters divided in two levels. 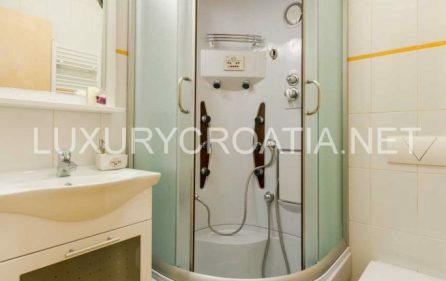 First level is a master bedroom with king size bed, second bedroom with two single beds best suitable for children, a master bathroom with shower and toilet, and another separate toilet room. 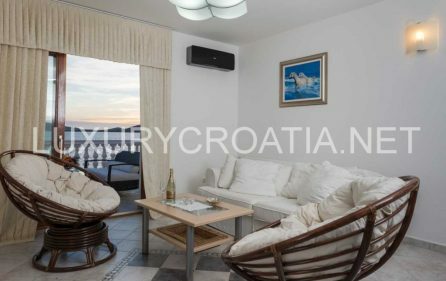 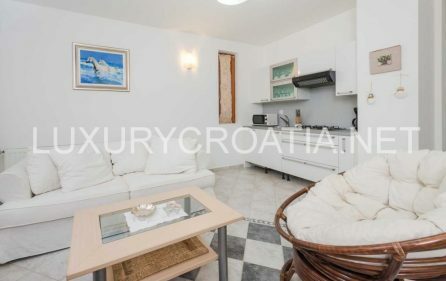 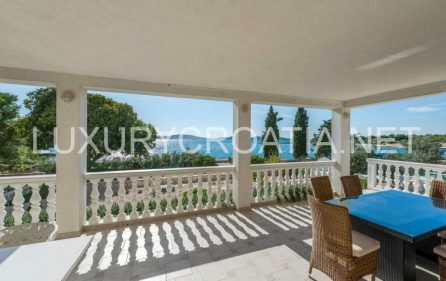 Here is a large living room with fully functional kitchen, dinning table for eight and a large balcony with sitting garden furniture, one for each apartment, with a stunning sea view. 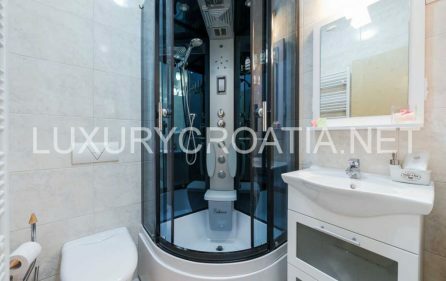 Going to the upper level, through a spiral staircase, you enter to an area of two very large bedrooms both with king size bed, a second bathroom with shower and a separate toilet. 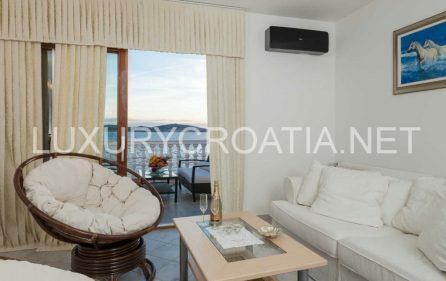 Each apartment is equipped with TV, DVD, Portable AC, espresso in the lobby. There is a large stone BBQ in the garden, open for private use or to prepare a meal by caretaker, and a 5-meter fiberglass boat that can be rented to a licensed skipper, or to organize a trip with a professional skipper. 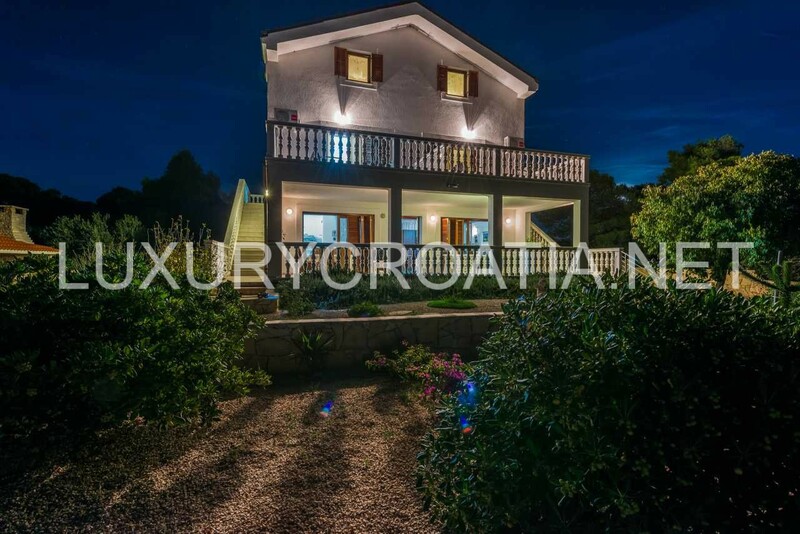 The villa is powered by solar energy. SPECIAL OFFER FOR REMAINING DATES FOR SEASON 2019! 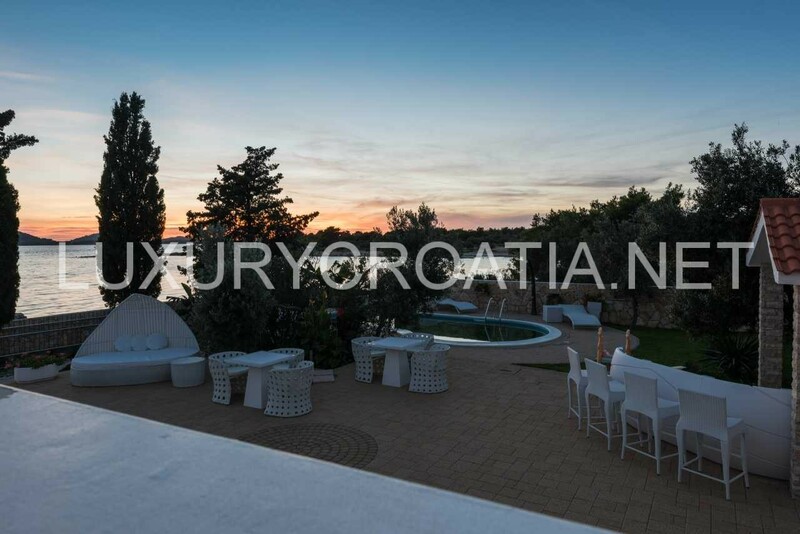 There is a possibility to accommodate up to 20 people in the villa, for this kind of reservations the price will be formed on a case per case basis.